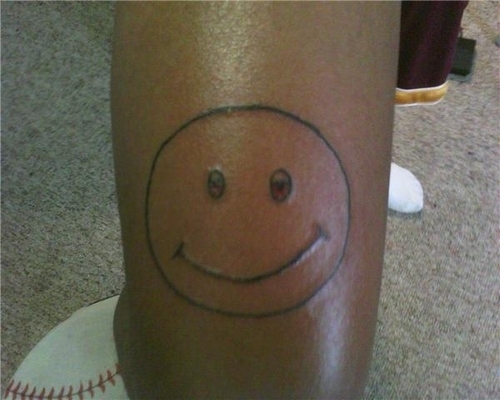 Dazed Smiley tattoo. . Wallpaper and background images in the Dazed and Confused club tagged: dazed and confused fan tattoo. Credit and keywords would be helpful, though. Is it yours or did you find it online?